Amy has completed her Marathon! 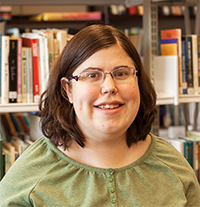 Amy read and reviewed 365 books in 2014, and the CCBC’s new Amy Mathers Teen Book Award will be given out for the first time in 2015. For more information about the award, click here. Thank you to everyone who donated and supported Amy’s journey! Inspired by Terry Fox’s and Rick Hansen’s Canadian journeys, Amy Mathers decided to honour her passion for reading and Canadian teen literature while working around her physical limitations through a Marathon of Books. Realising that Terry Fox could run a kilometre in six minutes during his Marathon of Hope, she figured out that she could read ten pages in the same amount of time. Thus, on her journey, ten pages will represent one kilometre travelled across Canada. Amy will be reading teen fiction books from every province and territory, exploring Canada and promoting Canadian teen authors and books by finishing a book a day for each day of 2014. She will write a review for each book she reads, and invites people to share their thoughts on the books she reads too. Click here to read Amy’s daily book reviews. You can also track her progress on the map below!